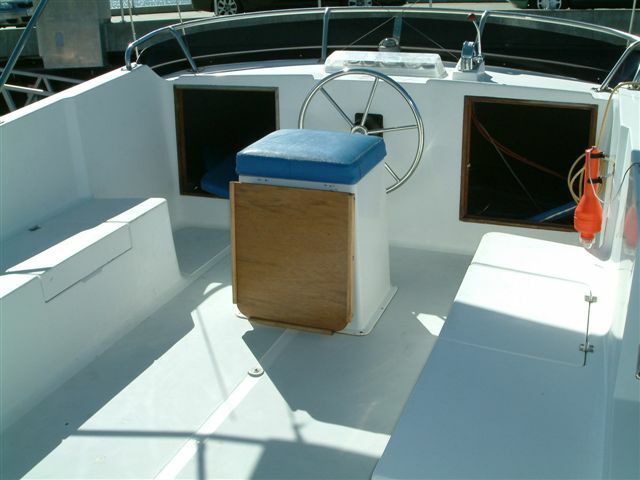 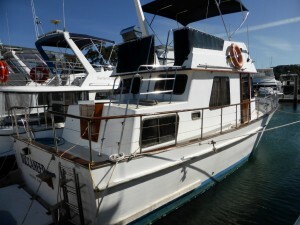 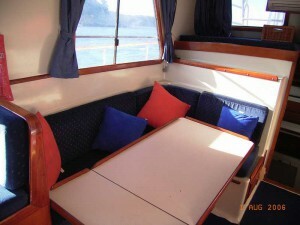 The Clipper 34 is a cruiser with plenty of room to move around. 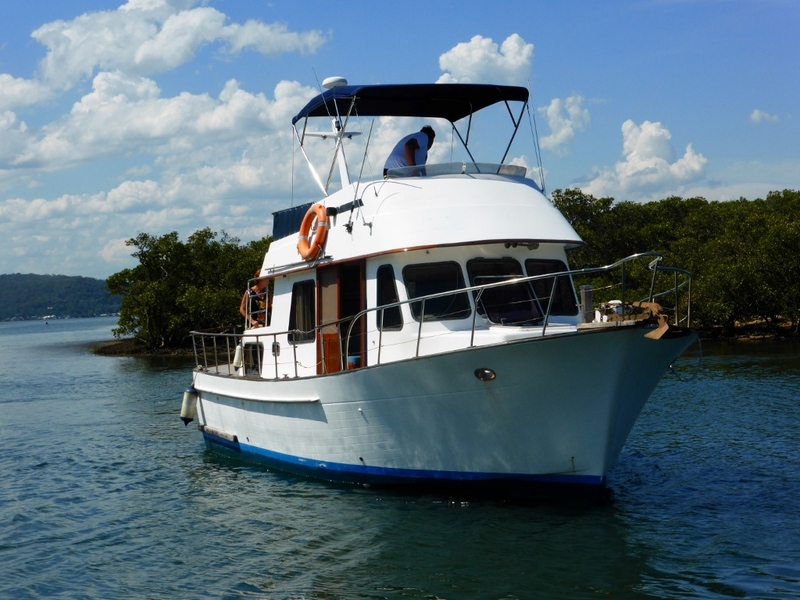 Licenced for 10 by day (in Pittwater), and 6-8 guests overnight, this boat has a private double cabin with ensuite in the front, with 2 doubles in a shared cabin aft. 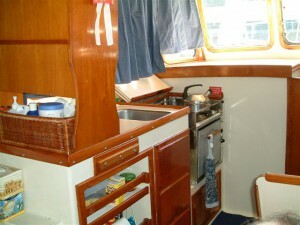 There is another double over the saloon table. 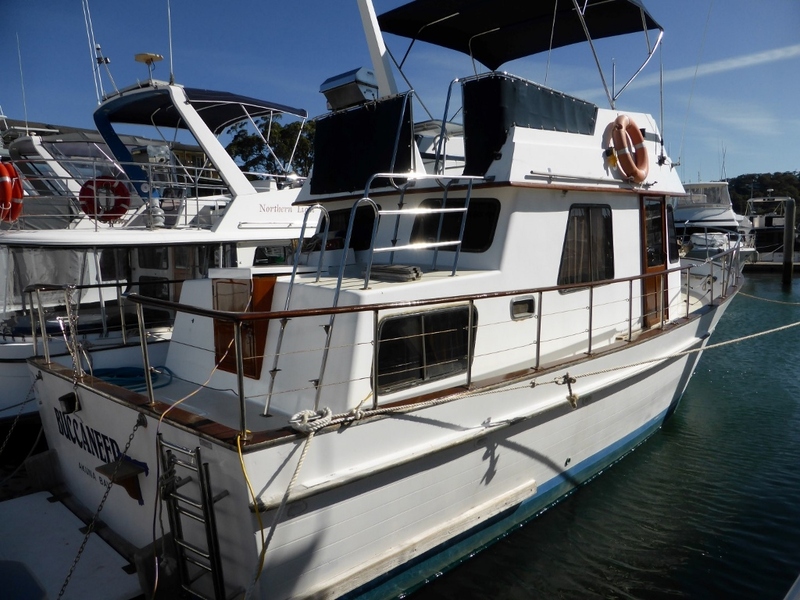 This boat has walk around decks on the lower level with large flybridge up top.